The first pharmaceutical containing a cannabis derivative was federally approved this week. 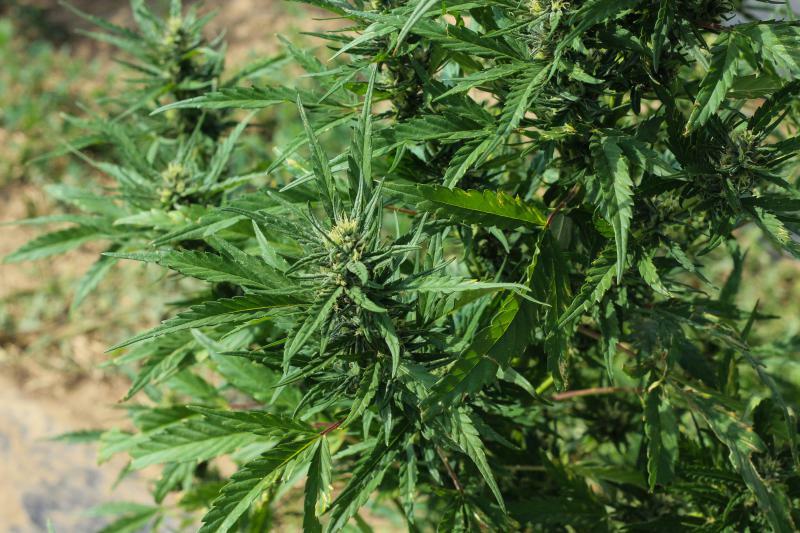 There’s good news for hemp growers across the U.S. who are preparing for harvest. The U.S. Drug Enforcement Administration removed some cannabidiol, or CBD, from the most restrictive class on Thursday, allowing for the first cannabis-derived pharmaceutical to be sold in U.S. markets. It comes on the heels of the possible legalization of hemp in the next farm bill, which Congress has been working on. But the scope of the DEA’s ruling is rather narrow, applying only to drugs containing CBD — an extract from the hemp flower — that have below 0.1 percent THC and have been approved by the FDA for specific therapeutic uses. “It’s a noteworthy event, but I don’t think it necessarily marks a substantial change in how the DEA is addressing cannabis,” according to Chad Kinney, the director of the Cannabis Research Institute at Colorado State University-Pueblo. He said many experts in his field had expected the ruling. In June, the Federal Drug Administration approved the drug Epidiolex, which uses CBD extract to treat epilepsy, and the DEA had to take this step in order for doctors to be able to prescribe it to patients. Kinney said, however, that the decision is promising because it proves the federal government will consider cannabis-derived drugs when provided with the scientific evidence that they’re effective. This could lead to further research into CBD and clinical trials for Epidiolex. “That might move forward at a more rapid rate or we might see more experimental or scientific work to explore the other potential uses for treatment,” he said. Though hemp is federally prohibited, the 2014 farm bill allows states to oversee its cultivation as a part of research pilot programs. At least 39 states allow for hemp cultivation, including Missouri and Kansas passing legislation this year, and more than 25,000 acres were cultivated in 2017. The biggest market for U.S. hemp crops is CBD. Companies like Joy Organics, based in Colorado, promote the oil as a medicinal treatment for everything from anxiety to arthritis. Spokesperson Hannah Smith said they infuse things like dog treats and sports drinks with CBD. While the DEA ruling does not affect their products, she hopes it will lessen the stigma. “It just means that more people are going to be willing to try CBD for whatever it is that they suffering from, whether it be seizures, or chronic pain,” she said. Experts expect CBD to become a billion-dollar market in the next few years, though at the moment Smith called it a bit like the Wild West. She said further research and regulations supporting the use of CBD will help get her products into the hands of more customers. Copyright 2018 Harvest Public Media. To see more, visit Harvest Public Media.